There was yet another sloppy spillover of infighting in the governing party as the ANC, chasing the ghosts nobody else could see, slammed minister Pravin Gordhan and NEC member Senzo Mchunu for a supposed attack on black professionals – and then backed down in a humiliation a short while later. Someone should tell these factions the elections are around the corner. The ANC has apologised to Public Enterprises Minister Pravin Gordhan and the party’s head of organising, Senzo Mchunu, for slamming them for supposedly slamming black professionals. The statement came on Thursday night, following an angry letter by Gordhan to ANC Secretary-General Ace Magashule. It took the ANC a whole 24 hours to do the complete about-turn. On Wednesday night the party posted a statement supposedly written by acting spokespeople Zizi Kodwa and Dakota Legoete, but much of it was drowned out by the aftermath of Finance Minister Tito Mboweni’s Budget speech. It was such an unusual attack on the party’s own that it had the feel of fake news – and some ANC members say they first saw it as such when it landed in their WhatsApp inboxes. The statement referred to a supposed attack on black professionals as corrupt by Gordhan and Mchunu, which is “neither warranted nor acceptable and goes against the grain of ANC policy”. Corruption, the statement said, knows no colour, and implying that the black engineers at Eskom were to blame for its failure was wrong. 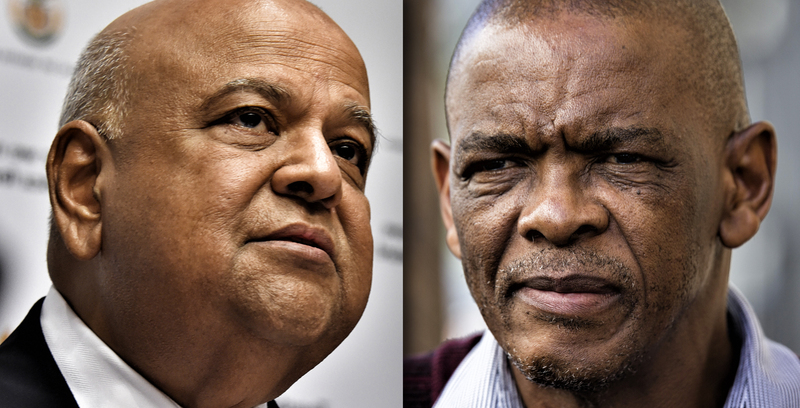 The ANC statement said it would sit Gordhan and Mchunu down to talk. Gordhan didn’t take this lying down and directed a letter straight to ANC Secretary-General Ace Magashule on his ministry’s letterhead, cc’ing President Cyril Ramaphosa, stating “emphatically that I have not made any public statements diminishing the status of Black Engineers” (sic). He added that he has always been “uncompromising on the principle of non-racialism”, and that he has, in fact, been focused on “building and nurturing black professionals and transforming institutions in every sense of the word, in line with established ANC policy”. He said he found the contents of the ANC’s statement “extremely offensive”. Koko and Gordhan have a particularly strained personal relationship, with Koko still believing that he should be part of the solution at Eskom. There are also those who believe that the legion spokespeople currently populating the ANC’s communications office spoiled the broth. It’s tough to speak with one voice when there are so many, but it’s possible that Koko got a word in with someone there. The timing of the statement also, interestingly, coincided with Pule Mabe’s return to work after he was cleared of sexual harassment charges by the party, although it didn’t bear his name. Gordhan’s letter worked, and the party backed down soon afterwards, issuing an unreserved apology, saying Gordhan’s and Mchunu’s remarks were “taken out of context” in the relevant media reports. Kodwa and Legoete promised that the ANC would meet the black professionals in the coming week “and engage on issues of mutual interest and unpack how the ANC’s manifesto responds to the pressing issues affecting them that arose from earlier engagements”. Mchunu’s utterance was clearer. He was quoted in the City Press on Sunday as saying “black managers” were to blame for the crisis. “We will regret calling some of our black managers people of excellence. What has happened in most of the parastatals is that those people whom we trusted, who indeed are black managers, proved to be fake. They became excellent in failure and looting,” he said. This, in turn, led Black Management Forum president Andile Nomlala to lash out at the ANC for appointing unqualified executives to run state-owned enterprises. “It is actually astonishing that politicians are now putting blame on black managers, yet we have learnt from the State Capture commission the fervent pressure politicians have been putting on professionals to do wrong things,” Nomlala said. It’s rather unusual for the ANC to be so harsh on one of its own when fingers are pointing at them from the outside, but that’s what happens when a party is divided. Gordhan and Mchunu are both from KwaZulu-Natal, and closely aligned to Ramaphosa. It is clear, in the way that he addressed his letter, that Gordhan believed the attack against them came straight from Magashule, who was in the group that did not vote for Ramaphosa to be president.